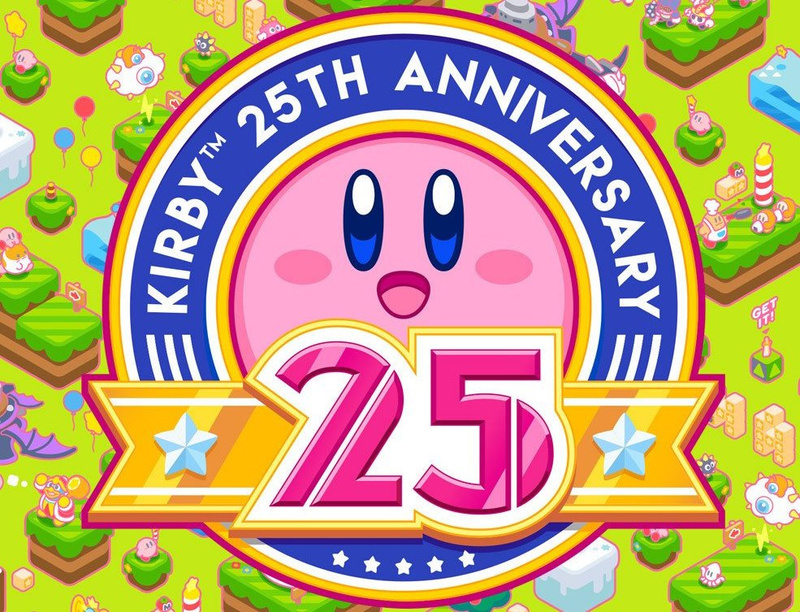 As fans of Kirby no doubt know, this year is the character's 25th Anniversary, and Nintendo of America has kicked off some discounts over the coming week to celebrate. Live now, they're running until the morning on 8th August. The discounts are rather modest, but details (in US dollars) are below. Are any of these deals tempting to you North American Kirby fans? Discounts are always nice. I want that Robo one for 3ds but that's still a bit pricey for me. The Switch is still taking my cash. Europe skipped again, like always. The discounts are fairly miserly too. Discounts like these are no fun when you already own every game on offer. And why wasn't Kirby Superstar ever released on 3DS Virtual Console? Decent deals, however I'll most likely drop out of this one because I've already played most of them. I kinda wish Nintendo would offer better deals on games like Microsoft does on Xbox. What do on guys think of Kirby: Triple Deluxe? I've read the review here, but would appreciate other opinions. @thesilverbrick Tell me about it. I got this in my e-mail from Nintendo. It's of no use to me whatsoever. I already own them all. @SLIGEACH_EIRE I had the exact same letdown last month when I got my birthday offer. Nintendo doesn't seem to realize that loyal customers already own their first party titles. A small amount of eShop credit would go a lot further than offers like these and isn't without precedent, seeing as they gave out eShop credit for the Digital Deluxe Promotion in the early days of the Wii U. Actually think I'm going to buy some of these for my Wii u. Hmmmm now where's my feather duster? @k8sMum highly recommend Kirby Triple Deluxe! I been playing the main story mode + included mini games for weeks. I cannot get enough of it! @Pupito Amen to that. I would gladly have them cancel My Nintendo entirely and bring the DDP back on a permanent basis. It was actually a good incentive to buy games digitally, which is a plus for Nintendo, as they are selling the games directly and without material cost. Everybody benefited. @thesilverbrick But... you can play super star ultra on 3ds which is superior in every way to the original. Heh, I've knew a kirby sale would come sooner or later and it only expires at NEXT WEEK?! @k8sMum I actually just got it 2 months ago when I picked up a 3ds for the first time. Thought it was boring honestly. It's beautiful and feels good in every way a game should control-music-art-wise, but it felt pretty boring to actually play. Just for context I still love playing Kirby's Adventure, Amazing Mirror, Superstar and Dream Land 2. I should note I only beat the first world. @link3710 This is true, but the beauty of the Virtual Console is that I don't have to go dig out an old DS cartridge (that I would never have on-hand) if I get the sudden urge to play a classic game. Super Nintendo games on 3DS are perfect to pick up and play at a moment's notice. Kirby Superstar is a game I would love to have available in that capacity. @thesilverbrick If the My Nintendo stuff worked correctly, and across platforms, they'd be able to take note of what you own and give you offers on titles that you don't own, but meet some sort of metadata tag requirements similar to your purchase history. Hoping for that summer sale tomorrow or at least soon here in NA. Maybe I'll get Kirby 64 and the Amazing Mirror. I always wanted to play the first, and as for the second, I never got farther than the first stage, so it would be time to give Kirby its due. For the new Earth 3D Kirby games why they also going to lower the retail price in box? Because I would definitely want to go retail. Yes they are, I still need Planet Robobot. @Dang69 That would work too well, wouldn't it? Only then, Nintendo would realize they have nothing else to offer me, since I've already bought most of their first party stuff. It's such a shame that their "rewards" program is unfair to their most loyal customers, giving them nothing but a stack of coins that can't be spent anywhere. @SLIGEACH_EIRE lol. Happy birthday. I got the same for July but every game they gave a option for was owned and some were even bought from Nintendo uk. @MariOnline @Fooligan Thank you though the day hasn't arrived yet. I've never played a Kirby game, so this may be a good time try one out. I may pick up Kirby's Adventure. Its one of my favourite entries and at that price is a excellent bargin when its a lot less than most used retails copies! So much value for money with all the mini games added too. Planet Robobot however is even better, adds to the Kirby forumla without feeling gimmicky. @k8sMum It's a pretty good Kirby game; not as good as Planet Robobot, but definitely worth the $20 price. @SLIGEACH_EIRE Strange, as my birthday coupon came from Nintendo literally two weeks late, lol. I didn't even bother using it. Any reason why Kirby and the Rainbow Curse, the only original Kirby game on Wii U, isn't discounted? That would have been the only game I considered. I've been wanting The Crystal Shards for quite a while now. Probably pick it up now. I went ahead and picked up "Crystal Shards" and "Squeak Squad." "Robobot" was tempting, but I've already bought the digital version of too many retail games as it is. @thesilverbrick I'm in the exact same boat. Also SNES vc on 3ds is one of the most half baked attempts at vc Nintendo has done in a long time. Still no dreamland 3 or superstar on the new 3ds.